Artistry and inspiration are in the air this spring in Taos. Taos Spring Arts: Celebrating Art, Culture and Music will showcase the best of Taos’ creative community with a season of museum exhibitions, art shows, film and music festivals and more. With more than 20 events throughout the spring, there’s something for everyone! 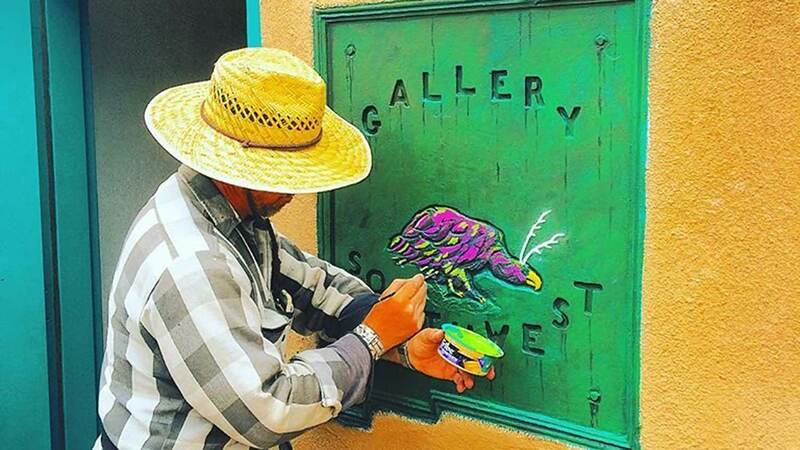 This traveling museum will engage the Taos community in participatory art installations and acequia-themed events that celebrate local traditions. The project’s goal is to acknowledge the culture embedded in everyday objects, illuminating their role in history and sparking community dialog, all in a museum-like setting. MMoAA activities include the capture of oral histories related to objects, including the acequia culture; lectures and community presentations around water and cultural topics; and a teen and undergraduate intern program to educate and engage our youth. The residency will conclude with a public exhibition celebrating water, acequia culture and the oral histories attached to this community treasure. Sunday, April 8, 7-9:30 p.m.
As a culmination to the weekend of “Water is Community,” Pecha Kucha Volume 26 brings a dozen community members to the stage of Taos Community Auditorium to talk water. The term “Pecha Kucha” is Japanese, and refers to the sound of “chit chat.” Presenters are given an opportunity to showcase and present 20 images of their work, with images changed every 20 seconds. There is a $10 entrance fee. The New Protagonists is a show that poses the questions: Who will be the artists that lead the way for the new millennium? And, what will be the movements and issues they champion? Taos is a major artist’s colony that has been at the forefront of all of the modern art movements initiated within the last 120 years, including Modernism, Abstract-Expressionism and Minimalism. The event will be held at Wilder Nightingale Fine Art, which is also a host of the show.